“My Dear Mr Ruskin….” Friendship, Inspiration and Scandal, John Ruskin and the Gaskell family will open in July 2019 at Elizabeth Gaskell’s House, exploring the friendship between The Gaskell family and John Ruskin in a new year-long exhibition as part of The Ruskin Bicentenary. Made possible by money raised by National Lottery players, this new exhibition and accompanying events programme will share the heritage of John Ruskin with families, community groups and visitors to the House. Workshops on sketching and weaving will run along side family craft sessions and a multi-media observational project with local community group TLC St Lukes. This new exhibition takes us from the studios of the Pre-Raphaelites and the Italian grand tour to legacies in education and social reform, showing us that the lives of the often-overlooked contributions of Ruskin and the Gaskell’s, continue to the present day. Ruskin gave some of his most important lectures in Manchester and the people of Manchester responded positively to him, changing lives. Some of the city’s most influential people were inspired by his teaching and Mancunians formed the first Ruskin Society and the first exhibition dedicated to him (1904). 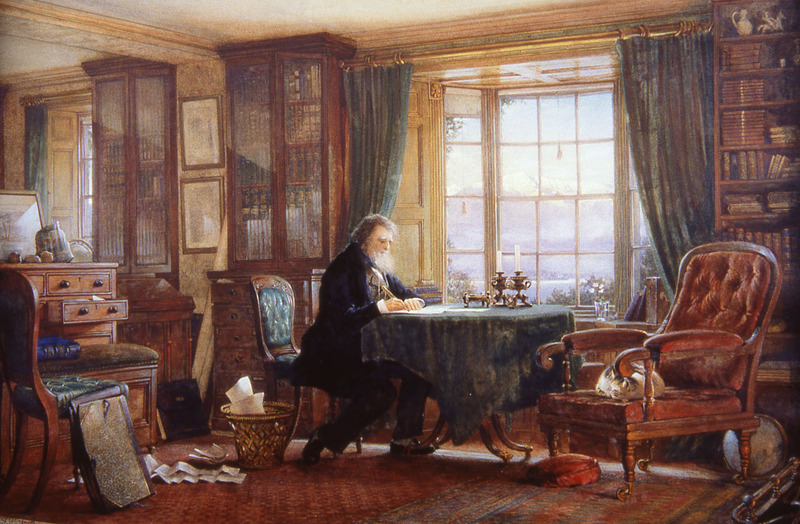 A number of the city’s institutions, including Elizabeth Gaskell’s House, are collaborating to present events and displays to mark his bicentenary during 2019 as part of the Festival of Ruskin in Manchester. Sketching Elizabeth Gaskell’s House with urban sketcher Liz Ackerley. 9 August. Full day. £55 including lunch. Creative Writing Workshop: The Poetry of Observation with poet Rachel Sills. 6 October and 6 November. 3 Hours. £25. See elizabethgaskellhouse.co.uk to book your place. About Elizabeth Gaskell’s House, at 84 Plymouth Grove is a Grade II* listed property, was built around 1835-1841 and is a rare surviving example of a suburban villa. The Manchester author lived in the House with her family from 1850 until her death in 1865. Her two daughters lived at the house until 1913.The Manchester Historic Buildings Trust was established in 1998 with the primary aim of saving Elizabeth Gaskell’s House. The House opened to the public in October 2014 with support and funding from The Bowland Charitable Trust, Cross Street Chapel, English Heritage, The Foyle Foundation, The Gaskell Society, J Paul Getty Jr Charitable Trust, Heritage Lottery Fund, Manchester City Council, Oglesby Charitable Trust, The Pilgrim Trust, Garfield Weston Foundation, and The Wolfson Foundation. The House is open to the public every Wednesday, Thursday and Sunday 11am-4.30pm and for private tours, room hire, events and weddings on all days. The House is available for weddings and room hire on all days. Second-hand book sale held every second Sunday. Included in admission. Thanks to National Lottery players, we invest money to help people across the UK explore, enjoy and protect the heritage they care about – from the archaeology under our feet to the historic parks and buildings we love, from precious memories and collections to rare wildlife. www.heritagefund.org.uk. Follow us on Twitter, Facebook and Instagram and use #HLFsupported.